While the Junkers L5 was convenient for most commercial utilizations, it was not strong enough for special missions like high altitude flights or for powering larger aircraft as the G38, which came out in the late twenties. Therefore further developement was performed on the Junkers L5. For these special task missions it seemed to be usefull to extend the classic six cylinders of the L5 to twelve by combining two single six cylinder engines in one new 12 cylinder engine. The result of this led to the twelve cylinder Junkers L55 engine in 1927. The Junkers L55 was a V-Engine with two L5 engines, which were arranged in a 60 degree angle. Due to the fact, that the L55 consisted of two L5 engines, it had the same compression rates like the L5 and same technical base data at double power capacity. In 1928 a compressor block was added to L55 and this engine was mounted at the G38. Also a special high altitude version of the L55 was developed, which should be added to the Ju49 high altitude test aircraft. Loader Units and Transmission Gear experiments were also performed with the L55. But as the further developed L8 engine became available in 1928, further developement was done on the combination of two of this engine type into one Junkers L88, which was the further improved L55 engine by the end of the twenties. Only a few L55 really were mounted to aircraft. 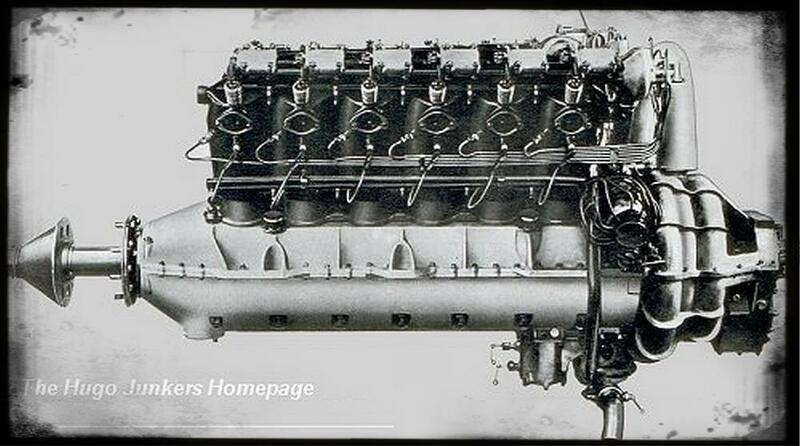 However the L55 was the first twelve cylinder Junkers engine. together with a further two L8 engines in 1929. Later the L55 engines were changed with L88 engines. for the high altitude experimental aircrat Ju49ba.